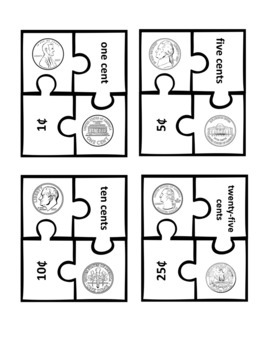 In this game students practice identifying coins by matching them with the heads and tails side, as well as with the coin names and money amounts. Students can play on their own, with a partner, or a small group. 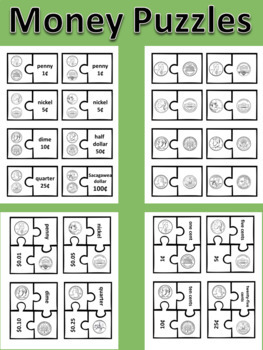 Great for a math center! 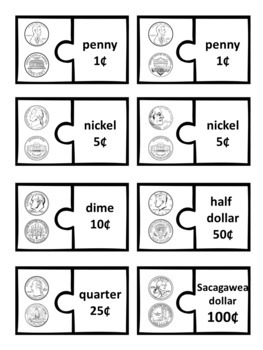 Coins include penny, nickle, dime, quarter, half dollar, and the Sacagawea dollar and you can choose which coins to print/not to print. 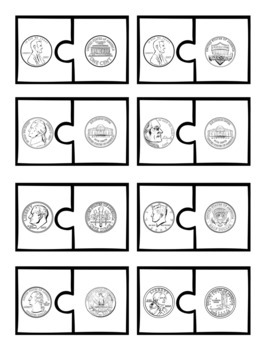 *Two different versions are included with standard images in the first version and a second version that includes different images that are currently in circulation including a state quarters, the shield on the penny, and the other nickel head.